Long before Indiana Jones or James Bond, another globetrotting adventurer enthralled millions of fans around the world. Tintin, a young Belgian news reporter, travelled high and low in comic strips and then comic books starting in 1929. 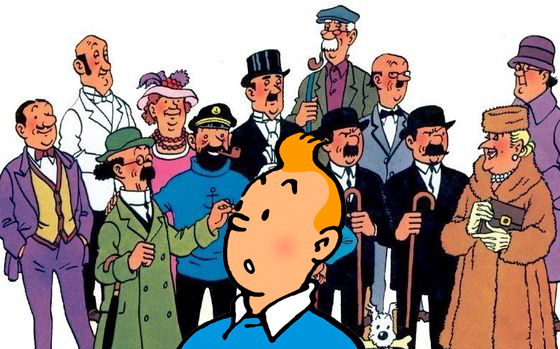 For his worldwide (and otherworldly) appeal, Tintin is a 2018 inductee of the Pop Culture Hall of Fame. First appearing in 1929, Tintin was the main character of two dozen graphic novel style books. They initially were written in French, but over the years have been translated to over 70 languages. While well known in the United States, the comics’ popularity in Europe was and remains off the charts. Over 40 years after the final original book, Tintin continues a cultural comic force overseas. While the adventures are fantastical, they never stray into silly, sticking to a fairly realistic representation of the 2oth Century. Hergé was a stickler for detail in his characters and their surroundings, endlessly researching locations around the world to be drawn in very real style. He was well known for his automotive stylings, using very specific makes and models that helped set the location and era of his tales. Every single object, location, and character is drawn with very real proportions aside from peoples’ heads and faces, which were far more stylized and comical. Even his fantastic, futuristic two volume “Destination Moon” was rooted in a certain plausible realism of the time. The red and white checkered rocket ship is almost as iconic as any of the characters. In addition to the publications, countless toys, action figures, and model cars (and rockets!) have been produced representing Tintin, Captain Haddock, Snowy and the rest of the cast. 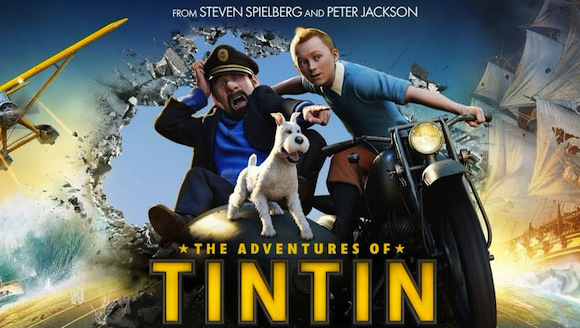 Tintin was the subject of a Steven Speilberg movie in 2011, combining major plots of three of Hergé’s comics. The motion capture film mixed realistically proportioned surroundings with stylized character faces in a lively homage to the original style. Crazy stunt pieces, an intricate plot and childlike wonder made it the perfect vehicle for Spielberg. Georges Remi derived his pen name after his initials “RG” which in French sounded like “Hergé.” Today, the Hergé Museum, in Louvain-la-Neuve, Belgium, celebrates his life and his work. The PCHOF is doing the same.